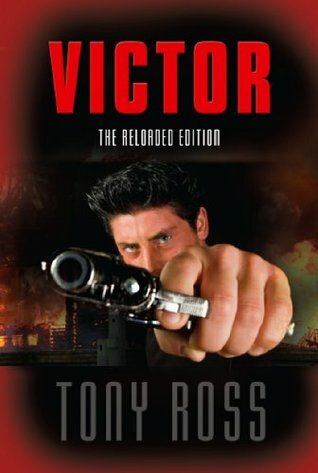 Victor: The Reloaded Edition is a fast-paced and thought-provoking thriller, set in a disturbing near-future that is far more possible than one might think. In Sunlight City anything is possible... literally. One overriding law governs everything: "give the people what they want." All things are legal, all lifestyles welcomed and all belief systems embraced. While the citizens of Sunlight City celebrate their unrestricted freedom, darker things also flourish. In this city of opportunity, Mona Macheski is running for her life. Her stunning scientific breakthrough has been corrupted by Josef, her former employer; what once promised to redefine human life now threatens to unleash hell on Earth. The critical information Mona holds is the only thing standing in Josef's way, and he will kill to reclaim what is his. Mona's only hope of survival lies in unlocking the mind of Victor, the assassin pursuing her. Victor is a gifted killer, but the success or failure of his mission depends on his ability to hold together his steadily fraying sanity. Mona's only ally is David, a streetwise and energetic detective thrust into the role of protector; he is Mona's only defense against a killer he cannot hope to defeat. The scientist. The assassin. The detective. The choices of these three people will influence the future of our world. All three are bound by the darkest of secrets. Only the truth will set them free. Victor: The Reloaded Edition is a powerful story of choice and consequence, love and conflict, sacrifice and redemption. It will make you question the choices we make, the future of our world... and the fate of your eternal soul. 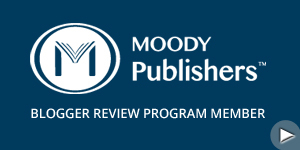 The way I got this book to review was unusual: an acquaintance of mine who likes my book reviews, but says she isn't any good at book reviews, messaged me on Facebook and asked me if I would review a book if she bought a copy for me. I agreed, so she bought it on Amazon and had it sent to me. She likes the author's books, and wanted to give him some exposure through my blog and book reviews. My friend has read enough of my book reviews to know what kind of books I like to read, and this was definitely one such book. It is suspense, which is my favorite genre'. It also has a lot of action and drama in it, which is pretty much non-stop. For a self-published book, the book was well written. I liked the characters, even the assassin - I know that may sound weird, but I did. The plot was a great one, and left enough mystery that I was eager to find out what wasn't being brought out in the open by the main characters. The book had a few surprises. I won't give any spoilers away, but at the center of the whole book was something that will present a big moral dilemma if it is ever accomplished, and is not something you find in your average Christian novel. I enjoyed reading about it, and it made me think about what could happen if scientists ever manage to do this thing. I like an author who isn't afraid to put Christian content in their books, and this author did exactly that. It isn't preachy, but it is there. And I did have a hard time putting the book down. The author can be proud of this novel, and it is one I can recommend. Tony Ross is an author who's not afraid of the dark. In his first book, The Ugly Duckling's Revenge, he opens the door to his own past struggles with alcoholism and depression. He shares what God did to pull him out and offers a message of hope to readers: "If God can do it for me, He can do it for you!" His next two books, Victor and Orion, are what Tony defines as "thrillers for thinkers," stories filled with action, adrenalin and deep spiritual meaning, stories that look into the deepest darkness of man to shine a brighter light. Victor won a silver medal for Christian Fiction in the Readers Favorite 2013 International Award Contest. Melody's Memory is a departure from thrillers; it's a novella focusing less on suspense and action and more on the condition of the heart. Tony invites readers to open the long-locked doors of their own hearts, shine the light on what may be hidden there, and allow healing to come. Tony is now revisiting the world he created in Victor and Orion in The Black Cat Chronicles, a series of short novellas set before Victor. He is also in the process of editing Brimstone, the third book following Victor and Orion. When he's not writing, Tony enjoys country living, backyard campfires, recreational reading and outdoor sports. He has been a member of the ministry team at Calvary Apostolic Church in Clintonville, WI since 2004. Tony is happily married and has five children.